Star will launch the first private FTA, free to air sports channel in India. Star India is deepening its partnership with sports by launching India's first free to air sports channel (FTA). Currently, Doordarshan DD Sports is the only FTA sports channel in the country. The FTA sports channel, called Star Sports First, will be launched on the DTH Freedish platform of DD, which has about 22 million subscribers. Star India had won two slots at Freedish in the electronic auction conducted by DD on July 4. One of the slots will be used for Star Sports First. 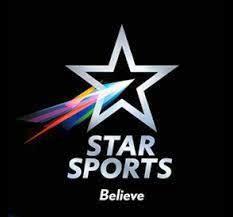 Star is also the first station in India to launch regional sports channels in Hindi and Tamil. "Star will launch an FTA Star Sports First Sports channel, the channel is likely to start before the start of the Kabaddi Pro League, which starts on July 28. Freedish will be the main distribution platform for the channel," said a source Of the industry on condition of anonymity. The Hindi movie segment has seen three new releases from the major chains, namely Star Utsav Movies, Zee Anmol Cinema and Sony Wah. Many payment news channels have gone FTA like News18 India, Zee News and NDTV India. Freedish has been the biggest beneficiary of all these developments. Recently, NewsX became the first English-language channel to jump over DD Freedish. This will be the third FTA channel of the Star India network. The other two channels are Star Utsav, which broadcasts content from Star Plus and Star Utsav Movies. The broadcaster is working on another FTA channel, whose details are incomplete. To avoid cannibalising their pay-TV revenue, Star Sports First will not have premium cricket content involving the Indian team. However, non-Indian cricket content will be available. Some of the local leagues like Pro Kabaddi will also be available. Star Sports First will replace FX HD, which will close on July 20. The broadcaster has MIB approval to rename the FX HD license as Star Sports First. FX HD was scheduled to close on June 15 along with FX and Star Movies Action. However, the broadcaster issued a corrigendum that extends the closing date of FX HD. Star Sports with 11 channels broadcasts major sporting events that include cricket coverage under the control of the International Cricket Council (ICC), Cricket Control Board in India (BCCI), Cricket Australia, England and Wales Cricket Board (ECB ) Cricket Advice (ACC); Pro Kabaddi; Tamil Nadu Premier League (TNPL); The Super League of India (ISL), the Premier League, the Bundesliga; Events of the World Badminton Federation (BWF), Premier Badminton League (PBL); Indian Hockey League (HIL); Formula 1; Wimbledon, the French Open and the International Premier League Tennis. Apart from PKL, Star has a wide range of options to choose from to display on the FTA channel. Star Sports is the official host of Indian home cricket matches, International Cricket Council tournaments, Indian League (soccer), English Premier League (soccer), German Bundesliga, Badminton tournaments World Federation, Premier Badminton League, Indian Hockey League, Wimbledon, French Open, Premier League and Formula One. This is a great development not only for Star TV network but also for the entire broadcasting industry, experts said. So far, the free TV market has been dominated by entertainment channels and news channels. Nobody has bothered to reach the sports market, until now. If the deal passes and it seems to happen, it will be huge. Star is launching the first private free to air sports channel in India and playing big at Pro Kabaddi.